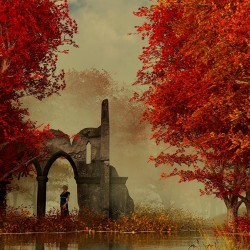 "France is aflame with rumors of witchcraft and treachery. Who will be burn for their transgressions? 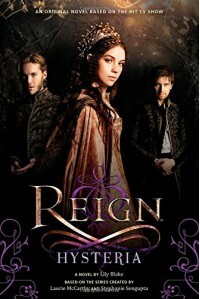 Find out in this haunting original novel based on the hit CW television show, Reign. Something sinister has been sweeping the villages surrounding the French court. Rumors of Satan’s horsemen traveling the countryside and claiming the souls of villagers have sent the people reeling into a religious frenzy and soon fear and suspicion lead them to accuse a young girl of witchcraft. After the prisoner is brought to the palace for questioning, Mary, Greer, Kenna, and Lola work to prove her innocence. But there are others who will stop at nothing to see the girl and her secrets silenced forever… "
I wouldn't really call this a haunting original novel but it wasn't bad. I haven't quite finished the first season of the show (because *ahem* a certain Poldark got in the way) so there were some spoilers in this book concerning Lola (who btw didn't do anything to prove anyone's innocence). The characters are written close to the show and it was an interesting story of supposed witchcraft. I am falling more in love with Bash than I already was. I think he may be a favorite character of the writer. This of course satisfies the witch bingo square!